Are you ready to settle the debate over whether or not workout activities like yoga can yield the same results and burn the same amount of calories that an hour of walking or running would each day? Fortunately, we can record and monitor almost every aspect our lives thanks to the advancements that we’ve made in technology. We’ve especially made great strides concerning wearable technology. While you might be accustomed to seeing a friend or coworker sporting a popular fitness tracker on their wrist, it’s time to consider other methods of tracking to further you in your fitness goals. The Wahoo Tickr is a heart rate monitor that promises to monitor your real-time heart rate, calories burned, and some reps you’ve completed per exercise. It can also provide some of the same features that wearables meant to go on your wrist can, like the ability to save and analyze your data after each workout, and monitor the number of calories burned. The Wahoo Tickr X promises to change the way that you train. You can kiss your old workout stats goodbye, and you can say hello to the comfort and efficiency of the Wahoo Tickr X. The Wahoo Tickr X is a heart rate monitor designed to track your motion and fitness stats while you perform any workout. The Wahoo Tickr X is different than it’s competitors in a few defining ways, but the most obvious difference is the placement of the device. The Wahoo Tickr X is designed to be strapped to your chest and comes with a flexible band that can be adjusted for each unique user’s size. The Tickr X is compatible with most fitness trackers that will sync with your smartphone, and it will primarily appeal to individuals that are hoping to reach a fitness goal like an increased number of reps or more endurance on a run. It’s both waterproof and sweatproof, so it’s the ideal companion to bring along to your HIIT workout session. Wahoo even offers a seven-minute workout app that will keep track of your heart rate and calories burned while you squeeze your quickie workout into your busy schedule before you get started with your day. For individuals that value getting the most of out each workout session, this is an accessory that you can’t afford to go without. However, the Tickr X will come up short if you’re not looking to track your heart rate during your workouts or if you prefer to wear a tracker that rests on your wrist instead of across your chest. Personalized Heart Rate Training - Work out efficiently - view real-time heart rate, training zones and calories burned on your smartphone or tablet with compatible training apps. Ideal For Runners - Built-in accelerometer measures running form across three dimensions to help you improve your individual form and become a stronger runner. Treadmill mode tracks speed and distance while on the treadmill. Accuracy.The Tickr X gets an accurate read of your heart rate while you were working out with just about every use. No phone necessary. You won’t need a second device for the data to be recorded. You can leave your phone or smartwatch by the wayside and let the Tickr X do the work. Connectivity. If you do connect it to a device, it will record data like distance, pace, heart rate, cadence, workout duration, and how much time you spent in fat burning zones during your workout. Data Storage. The Tickr X can store around 16 hours of workout data. Affordability. While you’re searching for a heart rate monitor, you’ll notice that a lot of the high-end heart rate monitors that double as fashionable smartwatches can range anywhere from $300-$700. The Wahoo Tickr X keeps your wallet in consideration, and the newest model from the Wahoo heart monitor line costs about $80. Continuity. It works better on some applications than others. The reports that you can check on an app on your smartphone can vary in accuracy. The results can vary depending on if you have an Android phone or an iPhone. LED Lights. The lights on the Tickr X can be uncomfortable to pair with a thin workout shirt at the gym. The blue and red lights could shine through from underneath your shirt, which could be a problem if you preferred that no one else knew you were wearing it. Comfort. The strap could cause some discomfort for women that wear sports bras with an underwire. Software Issues. Some customers found that the Wahoo Tickr X that they received didn’t work as promised, and it would not connect to their smartphones or stay connected for the full length of their work out, although some were able to resolve their issues with a call to customer support. The Tickr X is equipped with a lot of features that will impress anyone with serious fitness goals. This heart rate monitor can connect to your phone via Bluetooth, but it promises to function just as well without it. However, if you are connected to a device via Bluetooth, you can view your real-world heart rate, how many calories you’ve burned throughout a workout (whether it’s a run, a bike ride, or a spin session) and when you entered fat burning zones. The Tickr X has a stand out feature that other heart rate monitoring devices lack- it can measure indicators of your form while you run, and when you cross-reference that with the data on a third party app or smartphone, you have access to valuable information that can improve your form and increase the amount of time that you dedicate to each run. Die hard apple fans will love the Tickr X, as it offers the user the ability to connect to your Apple Watch, which can be incredibly helpful if you already rely on your Apple watch to track and monitor your health stats. While you can connect third-party devices to your Tickr X, you’ll find that some of Wahoo’s in-house features will work just as well. Wahoo offers a seven-minute workout that you can do while you wear your Tickr X. You can use Wahoo’s app through your smartphone, tablet, or Apple TV. The brief workout sessions will take you through a series of twelve high-intensity bodyweight exercises, and will allow for ten seconds of rest in between to keep you going. Wahoo’s workouts are efficient, safe, and studied- they’re based on exercises from the American College of Sports Medicine Journal. The Tickr X allows you to view your comprehensive workout data through a few different mediums.The Tickr X uses ANT+ and Bluetooth tools to track information about your treadmill sessions, jogs, and cycling sessions. As mentioned previously, you can use your Apple Watch to review data such as your heart rate, fat burning zones, and information on your form while running. If you aren’t a fan of Apple products and you own an Android device, you can review this data from the official Wahoo Fitness App on your phone. Inside of the Wahoo Fitness App, while you review your recorded data, you can rename workouts, and even calibrate the device to your unique running style. There are some fundamental differences between how the Apple version of the app presents data and how the Android app might present your information. The Apple device will report your data using numbers, while both apps display relatively the same data, the Android version is more focused on presenting your heart rate and workout data to you in the form of a line graph. However, regardless of which type of operating system that your phone has if your phone is nearby during your workout, all of your stats will be available to you immediately. The routes that you took and your heart rate fluctuations will already be logged and ready for you to review after your workout. Additionally, the Tickr X will track your Running Smoothness over a period of runs or workouts and will inform you about the efficiency of your form on your run with a number. You can use this information, whether you’ve dissected this information from the graph or the more detailed numbered option, to improve the quality of your runs and treadmill sessions. Waterproof. The Tickr X is waterproof and sweatproof; you won’t see a loss in function no matter how much moisture the device is exposed to. Long lasting battery. The overall battery life of the Tickr X is impressive, and it lasts up to twelve months. The battery is replaceable, and you can buy a new coin cell battery for it for a relatively low price. Third Party App Compatibility. The Tickr X will not only work with your Apple watch and on the Android version of the Wahoo app, but it will also work with third-party fitness tracking apps like Mapmyfitness, Strava, Nike+, and more. Treadmill Mode. The Wahoo Tickr X provides a treadmill mode, and it’s designed to help you track your overall distance, speed, and heart rate without breaking your flow on the treadmill. LEDLights. There are two LED lights on the front of the Tickr X that alerts the user as to whether or not the Tickr is turned on with a blue light and whether or not it’s detecting your heart rate with a red light. Lightweight. You can toss the Tickr X inside of your purse or gym bag on the way back from your workout, as it weighs less than one pound. Two-year warranty. There’s a two-year warranty on the Tickr X, starting from the date of purchase. One size fits all. The black band that comes with the Tickr X is adjustable and can be stretched to fit and monitor all kinds of body types. While the big sell on the Wahoo Tickr X is its heart monitoring ability, customers that positively reviewed the device were most impressed with its connectivity ability. Most customers felt that the Tickr X was a significant improvement over its predecessors, and were thrilled that it would connect to their phone or devices almost immediately. Wahoo Tickr X buyers felt that their Tickr paired well with their other devices regardless of which platform their device fell under, which is what Wahoo promised. Additionally, customers were also excited about the accuracy of the heart rate monitor. Buyers felt that they were receiving consistent, and accurate results that they could easily review during and after their workouts. However, some buyers did think that the Tickr X was flawed, and the most common complaint was about the straps. Some customers complained that their straps did not stay in place, or completely snap together at all. In some cases, buyers were frustrated that the adjustable strap could not handle wear and tear over a short period. While the Tickr X has flaws like any of the newer technology that we’re seeing come out of the wearable tech industry, an overwhelming amount of consumers felt that the Tickr X was an incredibly good buy. Compared to other fitness and heart rate tracking technology, it’s relatively inexpensive and can be purchased for around $80. 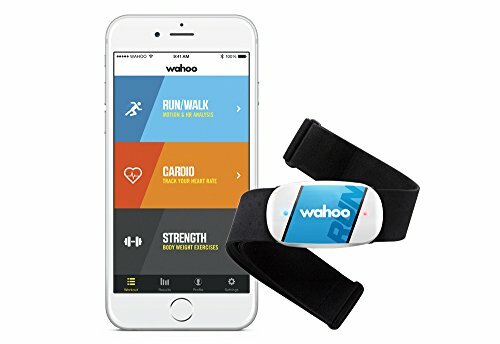 Additionally, Wahoo’s customers felt that the company had delivered concerning the overall accuracy of the heart monitoring feature and the comfort of the adjustable band that comes with the device. The Wahoo Tickr X is a smart investment if you’re interested in taking your fitness routines and goals to the next level. You can monitor your heart rate and run form while utilizing the advantages offered by the comfort of the band and you can review your fitness data on a wide variety of apps. However, if you’d prefer to have a device that records your heart rate and the number of calories that you’ve burned while still being able to use a stylish accessory that you won’t have to take off, then the Wahoo Tickr X is probably not for you. It’s a great tool for the individual that’s focused on maximizing every workout, and turning it into a high-intensity training session.